AnonD-107997, 01 Feb 2013Yesterday successfully force-updated my Lumia 900. For how to do it use the software or read... moreSorry, there is an app, from Nokia for BT file transfer. My bad. Yesterday successfully force-updated my Lumia 900. This update doesn't include Bluetooth file transfer, just contact transfer in a way- from my old phone to my new Lumia (did not worked with SonyEricsson). Marketplace section "Related" crushes. 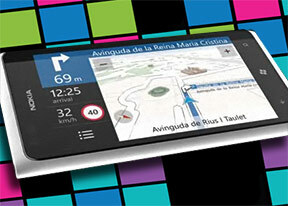 Basically if you had most of Nokia apps installed as Counter, City view, Transfer etc. you ain't feel a lot of changes except start screen and icon change for games, maps and office. Google search is possible only for IE, not for search button as expected. Bing wallpaper? There was an app for that long time ago. Still no video streaming. So the only "big deal" is Start screen. Which one is better Nokia Lumia 900 ot HTC Sensation XL ? Anonymous, 28 Jan 2013friends, help on how to use song as ringing tones, use d torch, change d theme plsits jus the same.. If I upgrade my Lumia Nokia 900 to windows 7.8 , can I use bluetooth to transfer any file or received ? AnonD-89450, 28 Jan 2013I cant able to use Bluetooth headphone and cant able to send anything to others or received an... moreupdate your phone with windows phone 7.8 and you will have all the option. I cant able to use Bluetooth headphone and cant able to send anything to others or received any file from others . please tell me how can I do all this with my this windows phone . AnonD-89450, 26 Jan 2013what is micro sim card ? can anyone tell me about this ?buy a sim cutter from E-bay which will be at 120INR just cut sim( leaving the golden chip in the sim and leaving the plastic) Micro sim looks smaller than the normal Mini Sim that's all. U can order a sim but they will ask for too many proofs and will tooks number of weeks. what is micro sim card ? can anyone tell me about this ? Guys I need your help . 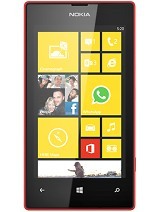 I'm planning to buy Nokia lumia 820 or lumia 900. May I ask if which of the 2 has better battery and which is the largest (physically) ??? AnonD-101222, 15 Jan 2013How do I activate call waiting on this phone?? ?go to setting then calling then call.,. You will seE call waiting.,. You can activate it. If you cant find until now, i suggest to click your user guide on your phone. You will see the instruction. Andrea, 24 Jan 2013Will this phone get hot if I watch hd video for 15 min and play games? ?hi, it will hot if the casing of 900 is steel.,. Will this phone get hot if I watch hd video for 15 min and play games?? is this phone supports HD games.. cause I am a heavy gamer kindly help me to know about this..